Although the Japanese empire rapidly dissolved following the end of World War II, the memories, mourning, and trauma of the nation's imperial exploits continue to haunt Korea, China, and Taiwan. In Anti-Japan Leo T. S. Ching traces the complex dynamics that shape persisting negative attitudes toward Japan throughout East Asia. Drawing on a mix of literature, film, testimonies, and popular culture, Ching shows how anti-Japanism stems from the failed efforts at decolonization and reconciliation, the Cold War and the ongoing U.S. military presence, and shifting geopolitical and economic conditions in the region. At the same time, pro-Japan sentiments in Taiwan reveal a Taiwanese desire to recoup that which was lost after the Japanese empire fell. 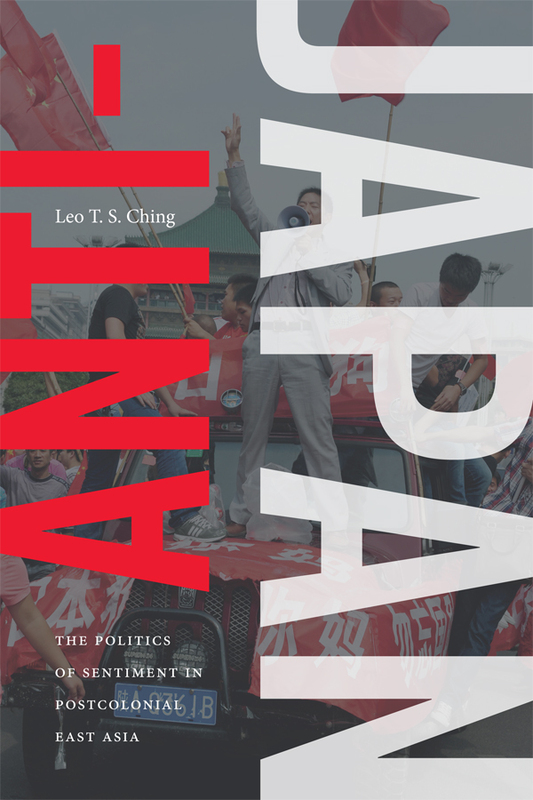 Anti-Japanism, Ching contends, is less about Japan itself than it is about the real and imagined relationships between it and China, Korea, and Taiwan. Advocating for forms of healing that do not depend on state-based diplomacy, Ching suggests that reconciliation requires that Japan acknowledge and take responsibility for its imperial history. Leo T. S. Ching is Associate Professor of Japanese and East Asian Cultural Studies at Duke University and author of Becoming "Japanese": Colonial Taiwan and the Politics of Identity Formation. 4. Colonial Nostalgia or Postcolonial Anxiety: The Dosan Generation In-Between "Retrocession" and "Defeat"